Wong, June H.L. 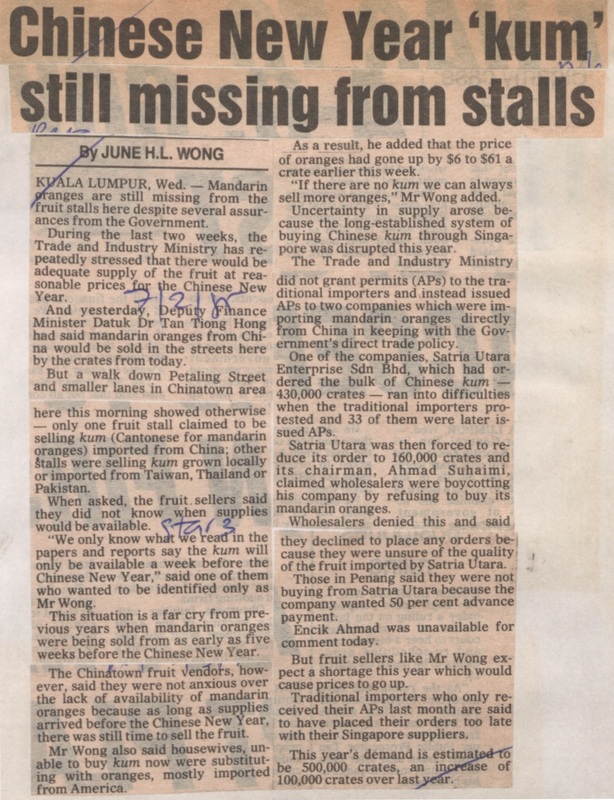 (1985) Chinese New Year 'kum' still missing from stalls. In: Adat Resam dan Kebudayaan 1985. University of Malaya Library.